The anniversary of Hurricane Sandy reminds us just how fragile life really is. We remember the people who we lost to the storm, and the people who selflessly did everything they could to help our neighbors get back on their feet. Sandy’s vast destruction brought to light what a powerful force Mother Nature can be. 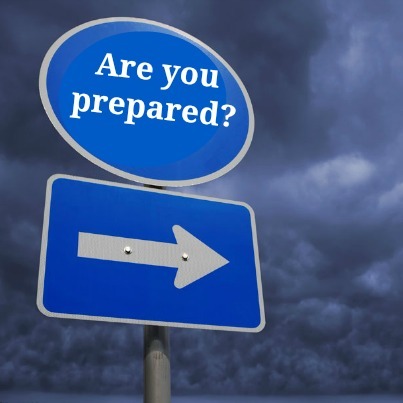 For building owners and managers, it’s a reminder about the importance of careful preparation before a storm, and the challenges that may confront them after the storm has passed. There are steps you can take before, during, and after a storm to make sure your elevators are prepared for the impact of harsh weather. Even before the weather forecasts predict a storm, take the time to make initial preparations. Inspect your elevator machine room’s ventilation openings, windows, and doors for possible rain leakage. Install metal splash guards over ventilation openings to help prevent water from reaching electrical panels. You can install some weather stripping around the machine room doors that open to the outdoors. Close up all vents and openings at the top of the hoistway to prevent water from getting into the elevator shaft. Barricade the machine room windows as necessary. Make sure no one is left in the building who would need the elevator for access. If your elevators are enclosed within your building (hoistways not exposed to the atmosphere), run each car to a stop near the center of travel. For two-stop elevators, park the car at the top floor. If your elevators are exposed to the atmosphere, run your elevators to the floor below the top floor. In each case, after you have parked the cars, shut them down and park them with the doors closed. Elevators that open to the atmosphere should have sandbags placed all along bottom of hoistway doors. Since this procedure would make the elevator unusable, it is recommended that this procedure be the last preparatory act, just prior to shutting the elevator off. This procedure is necessary where the elevator entrances are open to the atmosphere such as in parking garages, and housing facilities, pedestrian bridges, and elevators with open breezeways. Go to the elevator machine room and turn the elevator electric disconnect switches to the “off” position. There is one switch for each elevator – it’s usually located adjacent to the machine room door. It prevents an unauthorized person from otherwise taking the elevator away from your intended parking area. It prevents severe damage to equipment caused by short circuits from wet circuitry. Usually once the equipment is dried out it can be quickly cleared and re-started by your elevator service company; with little or no damage. The equipment will be saved from damage caused by voltage surges, spikes and dips resulting from lightning strikes and power line shorts due to wind. Even if your building has an emergency power generator, NEVER use the elevators during a severe storm. Rising water or wind-driven water can cause an electrical circuit shortage that could disable the elevator, even if emergency power is available, and lead to trapped passengers. When you get an official “all clear” – but before you restore power to your elevators – inspect the machine room for water on the floor or in the control panels. Also check the pit area for water damage. If you don’t have a “walk-in” pit, your service company can help you gain access. If you find water in these areas, call your elevator service company for an inspection before you try to operate equipment. Be sure to open any vents or openings at the top of the shaft if you sealed them just before the storm. You must take into account the effect that unavailability of elevators, both before the storm and after, will have on people who cannot climb stairs. Building occupants should be notified in advance regarding the policy to shut down the elevators prior to the storm and, if feasible, should be notified again when the actual time that the elevator will be shut down has been established. The ADA requires reasonable accommodation for people with disabilities. Why Hire a Licensed Elevator Company? To become an “approved agency,” an elevator company must be registered with the state. In order to be registered with the state, the company must be a licensed and insured agency. Here at Pride and Service, we are a licensed, insured, and city-approved agency. A building owner could receive fines up to $5,000 if it is found that they are using an elevator agency that is not approved by the state. The purpose of having these types of regulations is mostly for safety and security reasons. Many elevator companies claim to be legitimate agencies with a license and good insurance, but the reality is they are operating out of their basements or from a home office. This can be very dangerous because if they do not have the proper license, they probably do not have the proper training and experience with elevators. Elevators are very intricate and complex machines. There are many different components of an elevator that all work together to make an elevator function properly. Serious problems can result if an elevator component were altered or repaired incorrectly by a mechanic that was not properly trained. If an accident was to occur because of work done by a mechanic from an un-licensed agency – the building owner would be responsible. Many times, these un-licensed agencies do not have proper insurance either. So when an accident does occur, the building owner is stuck with the financial burden because the agency they hired did not have the right kind of insurance. In the end, the little money you save by hiring a smaller agency can result in fines and possibly lawsuits if accidents were to occur. The best thing a building owner can do is to take their time to research an agency before hiring them. Are they approved by the state? Do they have a good reputation? Do they have proper insurance? Will the agency handle all aspects of the buildings elevators? You can rest assured that with Pride and Service Elevator, the answer to all of those questions is a resounding YES. So as a building owner who is looking to hire an elevator agency to maintain and repair your elevators – make sure to take your time. Be cautious of the people and businesses looking to do “side-work” as that is a sign of someone who is not properly insured. Here are Pride and Service; we are a licensed, city-approved agency with a talented team of well-trained elevator mechanics. We only hire the best, because we truly care about the quality of the work that we do. 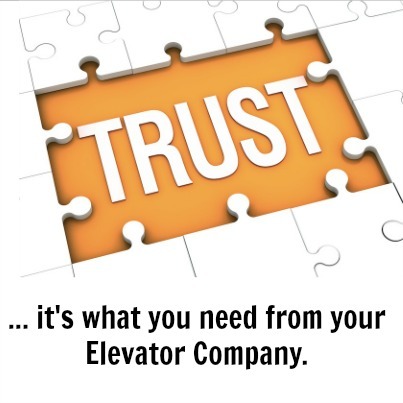 We are fully insured and will take care of everything having to do with your building’s elevators. If you are considering a hiring a new company, please contact us today to learn more about how we can help.